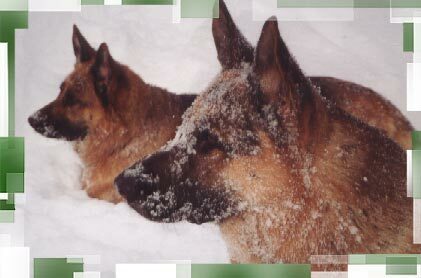 We are a small but selective kennel insisting on world-class German bloodlines in our breeding program. We produce 2 - 3 litters a year with the intent of placing happy, confident shepherds with committed shepherd owners. There is as big a thrill for us in successfully placing a companion puppy with a family as there is in the show ring. The family dog, and the show dog make us equally proud. Our breeding begins with tested, high-quality parents. The product we hope for is puppies that are healthy, free from genetic problems, and suited to the future their new owners set for them. We are as delighted to show you our family pets as we are thrilled to broadcast our successes of our police dog and service dog placements. You are invited to contact us and tell us what you think of our site.